View all timings for one task / Timelime basic manual? I can't seem to find any documentation on a simple function: view all the timings for ONE task. I see that exporting to CSV is now available for one task, but there is no documentation as to how to do it. I thought it might be under Backup, and then choosing one task to export, but that wasn't available. It would be good to have a basic online manual to show how to do these things. If it's on the website now, I haven't been able to find it. Thank you for using Timelime. After you choose the “Timings” view, you can use the export button to export CSV or XML. It will always export the timings that are listed in the Timings view. So if you want to export timings of one task, you have to select just one task in task list at the left of the main window. Now you can select a time period in the date picker (middle column) of timings you want to export. 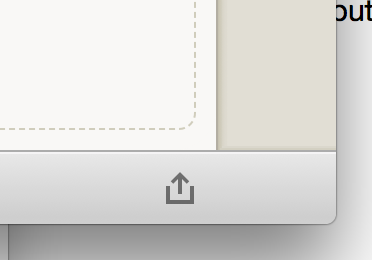 Finally, push the export button and you can do final configurations of your CSV there. Thanks so much for responding and for the info on exporting to CSV. After playing around with the pie chart I found that I could isolate one task and see all the timings related to that task. It's really helpful for billing when you can see all the timings and the dates for one project, hence the question. Not sure if it's possible, but it would be great if you could double-click on one of the tasks in the list and a window would pop up with all the timings. It would be a quick and easy way to see how many hours were spent on each date. Thanks for the fast reply and for having a place for suggestions! Glad you guys are continually expanding and fine-tuning the app. Thank you for your kind reply!! I think you figured out that you can select single projects also. I attached a screenshot as an example. All timings that belong to “Task A”, “Task B”, “Task 1”, and “Task 2” will be selected. If you have the button above the date picker in the middle set to “Select all time”, you will get a list of all timings for this project. There is a shortcut to all this: In the panel that pops up from the menu bar, right click on a project/task and select “Show in Main Window”. Awesome, Nico – thank you! Didn't know that I could view all the timings that way.